The Office of the Director of National Intelligence has established a new organizational structure and implemented new processes as part of a transformation effort unveiled in March. 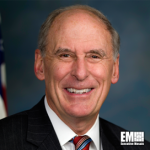 “Our comprehensive approach to transformation covered many areas, including synchronizing and streamlining processes, better developing our people, improving the efficiency and effectiveness of our decisions and aligning our structure to support those outcomes,” DNI Dan Coats, a 2018 Wash100 recipient, said in a statement published Wednesday. ODNI said the transformation initiative calls for national intelligence deputy directors to oversee four new directorates that focus on intelligence integration; facilitation of national security partnerships; resource and capability decisions; and alignment of the intelligence community’s current priority with the future strategy. The agency’s mission-focused centers will work with the new directorates to offer insight on insider threats, terrorism, cybersecurity and other issues facing the IC through the restructuring effort. The transformation also reflects ODNI’s updated core values, vision and mission statements.